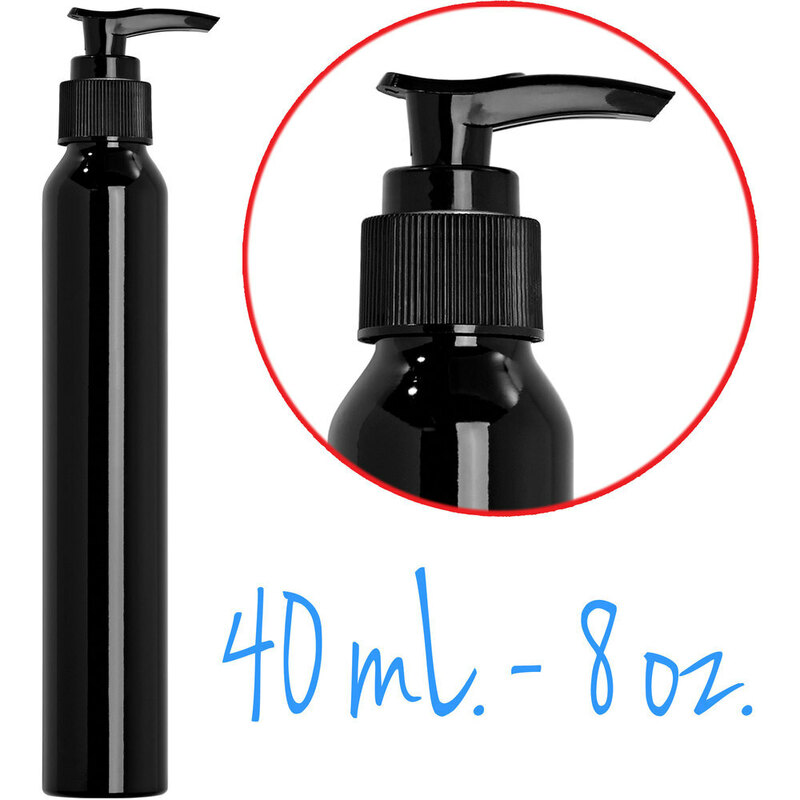 Easily dispense lotions, creams, or liquid formulations with this slim and tall 8 fl oz. aluminum bottle with lotion pump. Just twist the pump open from its locked position and push down to dose out product. Return to locked position during travel. Packaging: Assembled; Individually Wrapped. Case of 36.